Every single morning on the drive to school Eva asks me to tell a story. She love stories, she loves to read and she enjoys making up stories, after someone else has made up stories. The stories she wants usually revolve around whatever she is into that day, sometimes it is about a book we are reading or more often than not it is about characters from a TV show that we are watching. 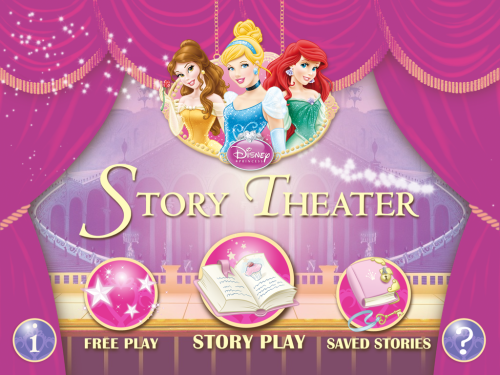 We received the Disney Princess: Story Theater App to try out and review. Opinions of it are 100% our own. I gave Eva my iPad to play with the app. Se was excited to play with this app. There are a couple of different ways to play this app. 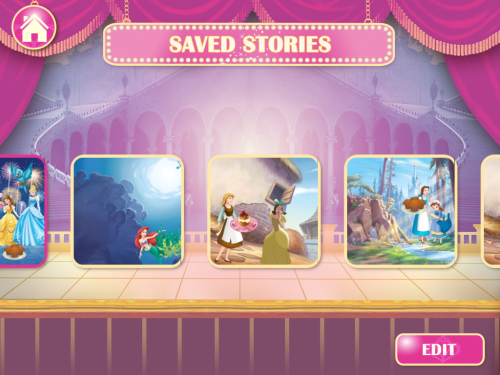 You can choose story mode which is professionally narrated in sections and then allows the user to record their own little sections of the story as well. 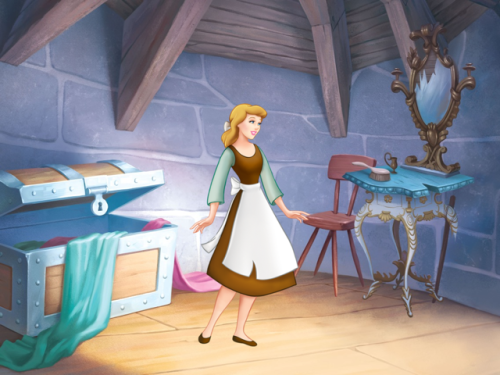 Players can choose a princess, a place, a surprise, and a prop. As the user plays the story mode more they unlock more places for the user to have in the free play mode. Eva enjoyed playing the story mode and then she moved on to the Free Play mode. In free play mode you can choose a bunch of characters as well as places and props. You can also choose the music that plays in the background. We worked on stories together because we could record our own voices. We can also move, rotate and change the size of all the things that we pull into the story. After we played for a while, she played alone and recorded and saved a bunch of her own stories, they are very cute. While the app is fun I think there could be some improvements to it like being able to have even more princesses, there are only three of them in the app. I’d like it if you could move the character’s arms and legs or something like that so that they could look like they are walking around. I’d at least like to be able to flip the image vertically so the characters could look left or right. Eva didn’t care about this though, she just liked to pull in a bunch of stuff and make up stories, which essentially is what the point is to this app. This app is now available in the Education category of the App Store for $2.99.